There was a collective shudder and a depressing feeling of deja vu last year, when officials indicated the vintage Red Car train that operates at the San Pedro waterfront would be removed to facilitate a construction project—and may never return. Thankfully, after a loud outcry, the powers-that-be reversed course. As part of the ambitious redevelopment of the Ports O’ Call retail district, the historic Red Car service will return on light rail track, which will enable easier boarding and smoother service. 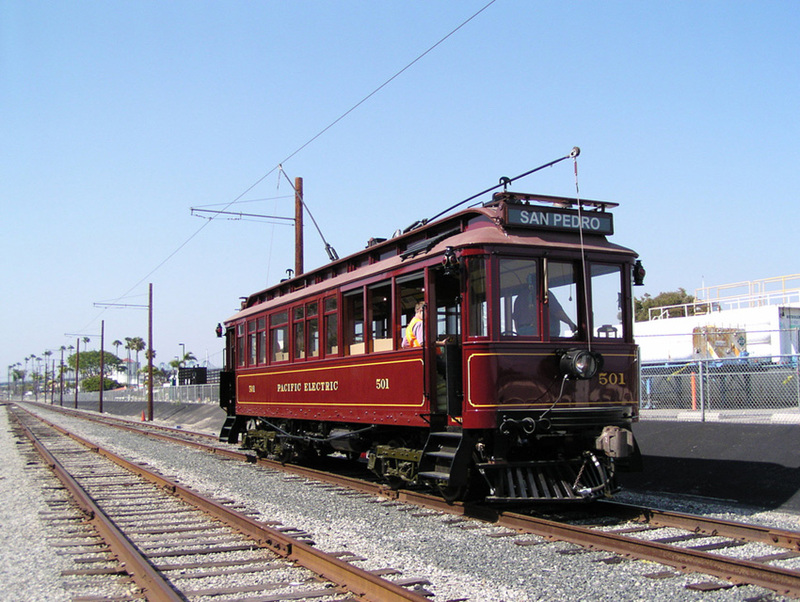 Before it suspended service for a realignment of Sampson Way near Ports O’ Call, the Red Car traversed 1.5 miles of San Pedro, connecting the the Cruise Center to 22nd Street. Three trains serviced the line, including a 109-year-old streetcar and two replicas. The new street-level boarding (no more climbing up stairs) will likely mean the one original Red Car will have to be retired. No word yet on when the service will start up again, but the Breeze indicated more details should soon emerge. In other train news, Metro announced yesterday that the Expo Line extension to Santa Monica will open on May 20. Yay!